We know our kids shouldn’t eat a lot of sugar. In fact, a recent breakdown of how much sugar is okay showed us objectively how to quantify an appropriate amount of sugar in the diet. Except for some, the whole sugar battle already feels too far lost. You may have calculated your child(ren)’s age-appropriate sugar intake and begun to monitor how much sweet stuff is actually being put into their mouths each day (as addressed in the last post). But now that it comes to modifying that amount? You don’t want to hear the complaining about trying to curb your kid’s sugar cravings nor be the odd man out on a never-ending issue with candy. The key takeaway to remember is that sugar intake is as much about behavior as it is about the actual amount. While I do recommend kids and adults limit their intake of added sugar to 10% of their daily calorie intake, there is a greater point to be made. It can be hard to stop, or never start to begin with, when sugar truly does taste so sweet. So how do you curb your kid’s sugar cravings? The same way you should yours, I should mine, and we should ours. With behavior changes that lead to more healthy lifestyle changes. This post will give you five simple yet strategic strategies for how to curb your kid’s sugar cravings. In general, I stand behind a 90:10 rule when it comes to healthy eating. This means that 90% of the foods I eat (and feed my family) hold obvious nutritional value. Without being fortified with this or marketed for having that, these foods are the simple staples to any healthy, wholesome diet. Such foods include vegetables, fruits, whole grains, lean protein, dairy, and healthy fats. 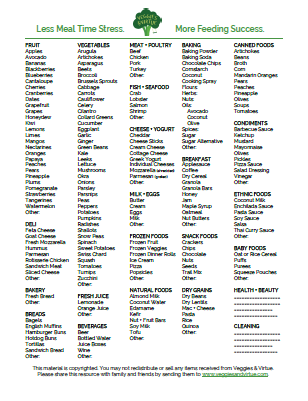 Majority of the foods that fall into this category are those with minimal to no ingredient lists or pronounceable ones at that. The remaining 10% are “fun foods,” or those that offer few to no nutritional benefits. Such foods include items like chips, fried foods, sweets, and sugar-sweetened beverages. Creating some “margin” in our diet to allow these foods helps us to harness healthy eating habits in a way that is practical and sustainable. Since 10% of one’s average calorie intake is the maximum amount of added sugar one should have, this creates a bit of leeway to adopting a 90:10 food philosophy as well. For a strong demonstration of what this 90:10 food philosophy looks like applied in everyday life, check out this article by expert pediatric dietitian, Jill Castle. Don’t talk about “cheat days” in front of your kids. Instead, show them how to healthfully include all foods in their diet. Teach them when added sugar is appropriate (think special occasions), and when you can satisfy a sweet craving with a healthier choice (like fresh fruit or frozen nice-cream). Show them that some sweets are okay (10% of total caloric intake), while too showing them how to appreciate more healthy and wholesome foods majority of the time (the remaining 90%). If they see you using principles of mindful eating and moderation and avoiding attitudes of guilt and shame towards sugar, they will naturally come to understand with age what that looks like within their own lives. To be clear, the 90:10 rule applies to everyone. Often what happens though, is that we spend all this time and intention to feed our kids healthy, wholesome foods while forgetting to feed ourselves this way too. They go to bed, and we sit down besides our husband to down half a thing of ice cream each. Besides the mentality of “we are mature and entitled to eat as we wish,” this undermines so much of the positive role modeling you are otherwise doing to adopt a 90:10 food philosophy in your home. Instead, start making more conscious decisions about what foods you allow in your home. I will be the first to admit that if sweets are around, I WILL eat them. So take your role as the nutritional gatekeeper a bit more seriously. Grocery shop intentionally. Don’t stock up on those sugar-sweetened snacks you disrupt your child’s diet, nor the treats you personally stash away until the kids are asleep. If it isn’t an item you feel good about offering, either regularly or as part of the 10% margin in your family’s diet, don’t buy it. Even if your kiddos can barely see onto the counter, do not keep a cookie jar on the counter. The habit just makes it harder for everyone to resist eating what’s inside. Do people eat more when a food is within sight, or when it is within reach? This study design used chocolate to answer this question, placing it in three different locations to track (adult) participants behavior: on top of the participant’s work desk, where it was visible and convenient; in the participant’s desk drawer, where it was convenient but not visible; and on a shelf two meters away, so that the participant was required to leave the desk to obtain the candy. What this research found was that visibility and the convenience of the chocolates significantly contributed to how many were consumed. On average, participants with candies on their desk consumed almost three times more than those who had the container in their desk, and over five more than those who had to walk two meters to reach them. These findings paint important takeaways for us and the environment we establish in our homes. While the results from this study pertain specifically to adults behavior, other studies extend these findings with children as well. Furthermore, it is believed that visibility and convenience may also serve to increase consumption of healthier foods as well. So instead of keeping a cookie jar on the counter, consider how visible and convenience a fruit bowl is for your family to enjoy. If I am going to eat something sweet, you better believe it isn’t a 100 calorie pack nor an ice cream pint made up of pea protein. That is also one of the reasons you will rarely ever see packaged sweets in our pantry. Having premade packages of foods that are high in added sugar makes it nearly impossible for me to succeed with the four approaches encouraged above. They are convenient enough to derail anyone’s sense of self-control and perpetuate a need for instant gratification that doesn’t work well to curb your kid’s sugar cravings nor your own. Instead, use homemade sweets as an automatic self-regulator. To enjoy a homemade treat, there have to be all the ingredients available, as well as enough time and energy to invest into making something. This type of forethought slows sugar cravings down to a more manageable, mindful level. By forcing an environment with more limited access to sugar and delaying the gratification of eating something sweet, we are able to better teach our kids about how to handle sugar. Plan for when a treat is both appropriate to have and feasible to make, turn the time into a fun mommy-kid kitchen date, then slow down to actually enjoy what you have made together. Once you have a mental gauge on what amount of sugar is appropriate at your child(ren)’s age and stage, start using these strategies to curb your kid’s sugar cravings. I know you’ll find your whole family benefits! Work towards a 90:10 food philosophy. Even if you are at 50:50 now, gradually make diet and lifestyle changes to lessen the “fun foods” and added sugars over time. Role Model Appropriate Intake of Added Sugars. Use principles of mindful eating and moderation and avoiding attitudes of guilt and shame towards eating sugar. Step into the Role of Nutritional Gatekeeper Seriously. Start making more conscious shopping decisions about what foods you allow in your home, limiting sugar-sweetened snacks that disrupt your and your child’s diet. Limit what is in Eyesight. Instead of stashing sweets in eyesight, opt for making fresh fruit visible and conveniently located in a fruit bowl on the counter. Aim to Eat Only Homemade Treats. Limiting access and delaying gratification to sugar-sweetened foods allows you to be more intentional about if, what, and when you and your family will enjoy “fun foods” with added sugar. What will be your first step to help curb your kid’s sugar cravings? What strategy would help your family be the most successful in this area of adopting healthier lifestyles? For me, it is aiming to eat only homemade treats. I would love to hear what item above you are going to take on too!